Mykonos is a pack of 3 Bright Lightroom presets that is perfect for your summer vacation or to brighten up your travel photos. Made for bloggers and instagrammers, these blogger presets are perfect for beginners as you often you can achieve amazing results in just one click. With just one click of a button, your photos will instantly look brighter and more crisp. This is a great preset for bloggers or influencers who are looking for cleaner, whiter, more cohesive feed. File format: .dng for Lightroom or other software. 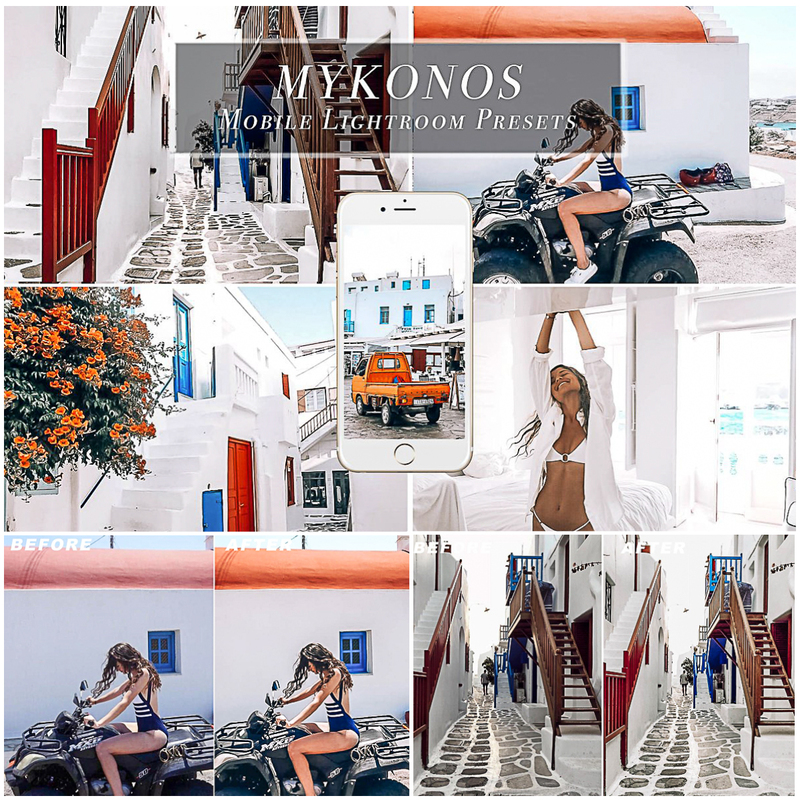 Tags: blogger, bright, clean preset, crisp, dng, influencer, lightroom presets, mobile photography, mobile preset, mykonos, vacation, white.